One Sunday this Autumn, the Rev. Elaine Murray led the usual service of Morning Prayer at St Mary’s Church, Carrigaline, County Cork. However, there was a difference. 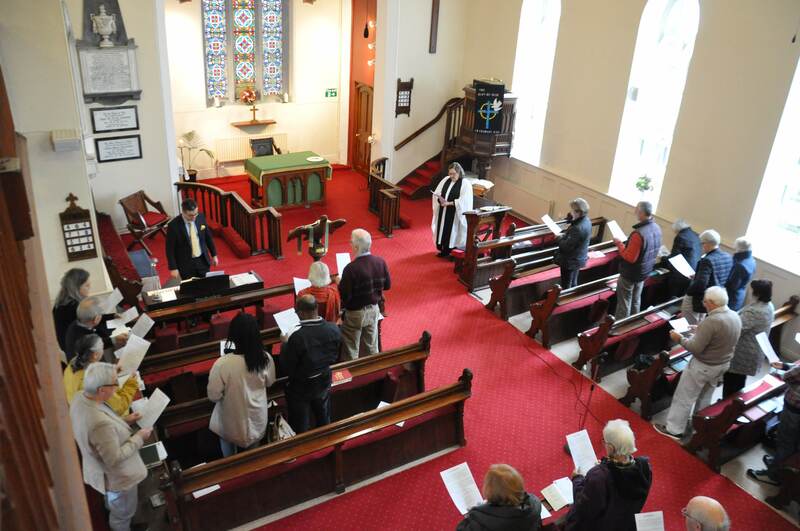 Under the auspices of the Cork, Cloyne and Ross Diocesan Church Music Scheme, she had invited Peter Stobart from St Fin Barre’s Cathedral to take the congregation through some of the canticles and psalms, and to explore Anglican Chant. Some members of the choir from Monkstown, County Cork led by Roger Ellis had also come along to the Service and the sound was an impressive one. Peter had chosen three different styles of chant as a way of demonstrating to the congregation what was possible with very little extra effort. Firstly the canticle Venite was sung to a very simple plainchant. After just a couple of practice verses the congregation was able to break out into antiphony, with one side of the church singing the odd verses and the other side the even verses. This monastic style is one of the oldest forms of liturgical chanting. Anglican chant proper was used for the psalm of the day. Although the chant itself was longer than the plainchant had been, the tune was seemingly more memorable and so caused very few problems. After a few practice verses everyone stood up so as to be back in Service mode and sang the whole psalm through. The third musical setting was for the canticle Benedictus. Peter chose a responsorial format and so it was the most modern concept of the three. The principles of chanting were still the same, however, and the congregation by this stage in the morning were picking things up very swiftly. A short refrain using the first line of the text, written by Peter himself, was sung between the verses. The Rev. Elaine Murray said afterwards that she thought the congregation had never sounded so good and that the service was exactly what she had imagined it to be. As a lover of Anglican chant she said that she was worried that without initiatives such as this it would quickly disappear completely from our liturgies. Anglican Chant being taught by Peter Stobart at St Mary’s Church, Carrigaline. This entry was posted in Anglicanism, Church Music, Diocesan Church Music Scheme, Worship. Bookmark the permalink.